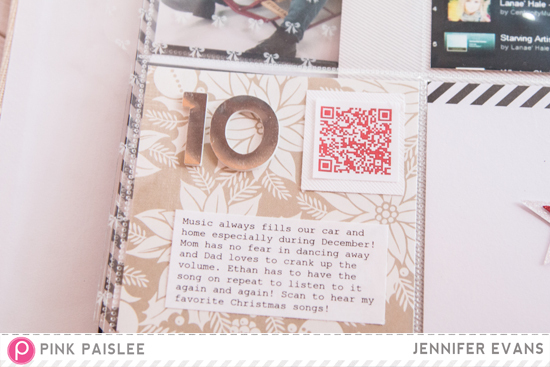 I am up on the Pink Paislee blog today sharing my Day 10 Countdown 2 Christmas pages using the prompt "Holiday Playlist!" I love Christmas music! You will want to head over there to hear some of my favorite Christmas music memories! 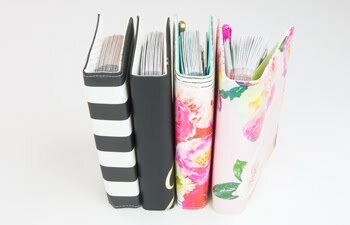 Here, I wanted to show you my pages and share with you how easy it is to create several layers in your album. I love being able to see through to the other pages in my book and on Day 10 is a perfect example of that. Day 10 starts on the page above with my pocket page. 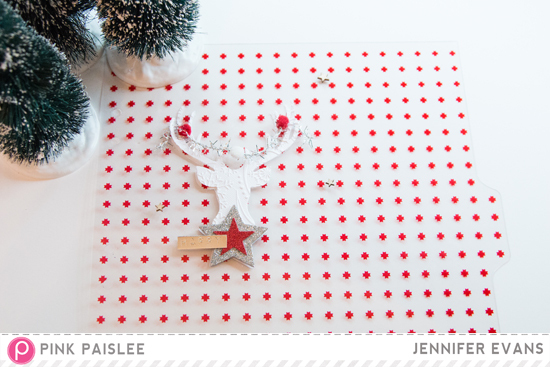 I have left the top left empty with a snowflake as an embellishment. This helps me see through to a clear page and our holiday photos! The top right pocket is a screen photo of my playlist that I created on YouTube. 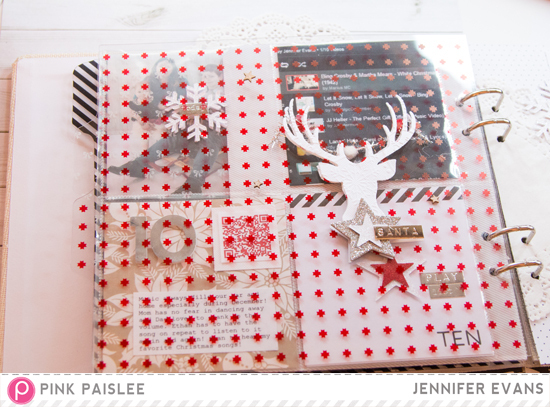 On the right of that page is another clear acrylic page that I loved adding a We R Memory Keepers' stag die embossed with Darcie's embossing folder (1218-39) and Bazzill cardstock. 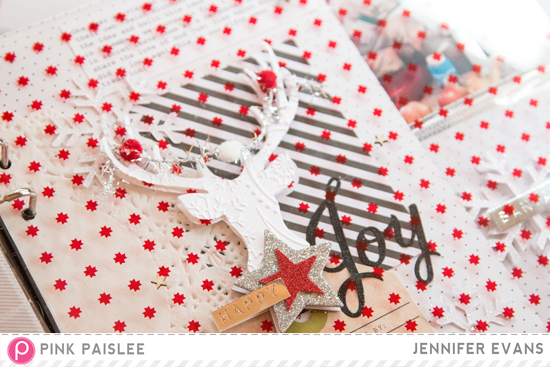 The trick that I love to do in decorating any clear page or pocket is repeat the same on both sides. 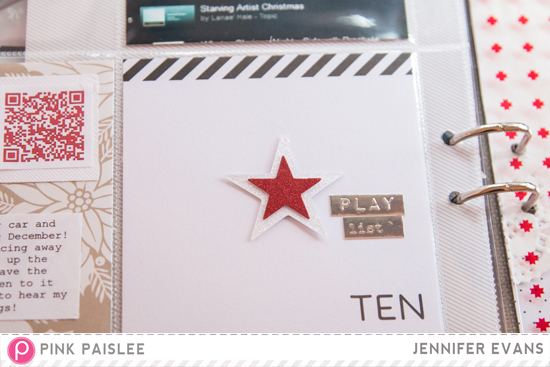 That way you do not have to hide glue or embellishments. See how easy the clear page was below. Then, let the next page peek through! Think about your placement on the next page so that it looks good and you are not hiding anything you don't want to. Here is the back side where you can see Day 10 peeking through! Darling. This year I plan on adding QR codes where I can. I can scan this and it will play my playlist from YouTube! I just love that! 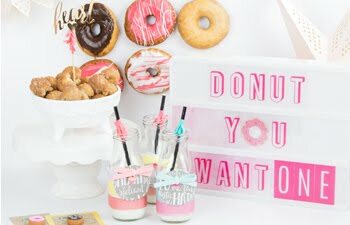 Make sure to check back tomorrow because I am back up on the Pink Paislee blog again with Day 11! 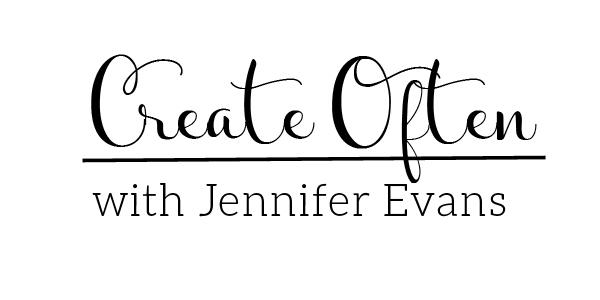 Create Well: Crank up the music and let's celebrate Christmas!